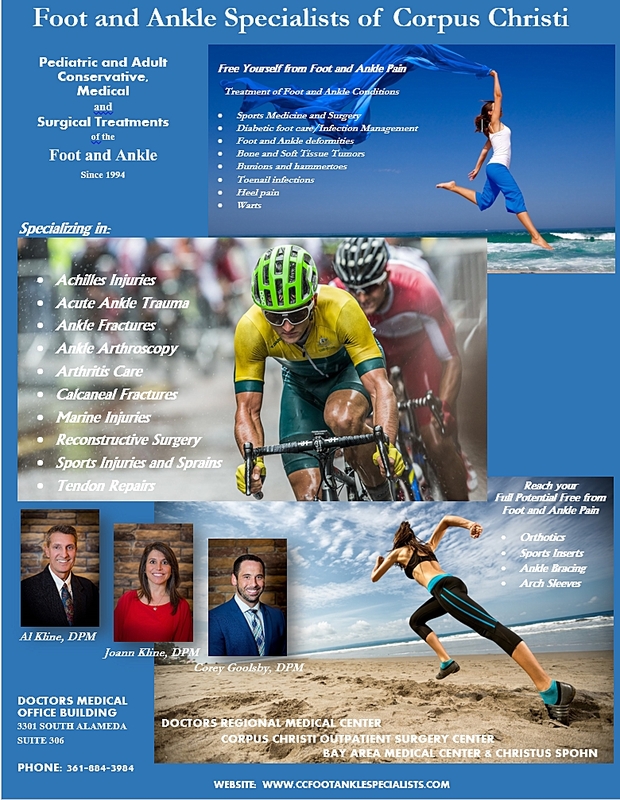 Corpus Christi Foot and Ankle Specialists also provide outpatient surgical procedures at both HCA and CHRISTUS Spohn hospitals including Precision Surgery and Corpus Christi Outpatient Surgery Centers in the greater Corpus Christi area. We also provides selected surgeries in the office with a Board Certified anesthesiologist. Our office provides an in-0ffice surgical suite for selected surgical cases.